With seven tracks and a running time in excess of half an hour, it’s one hell of an EP. 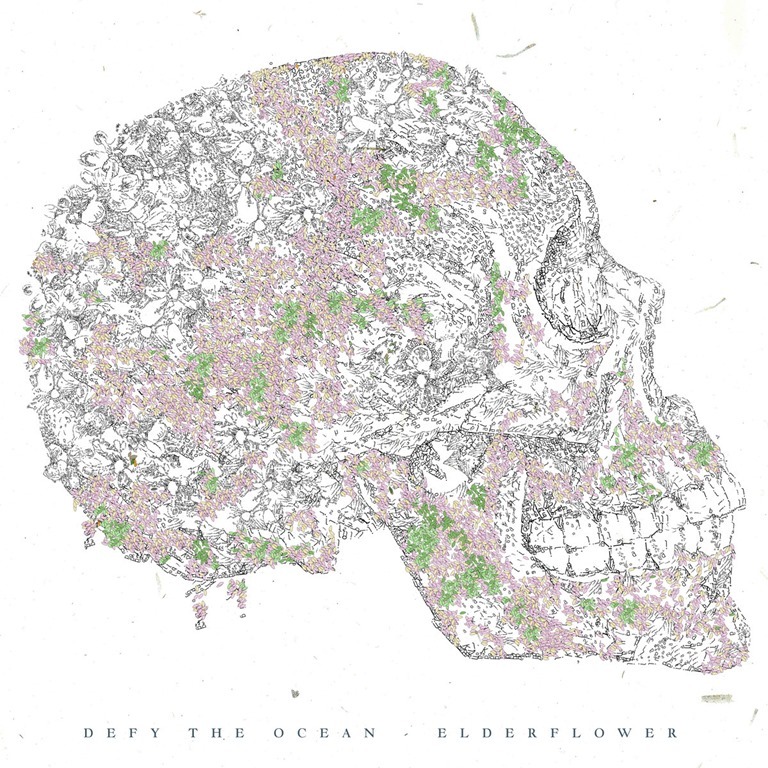 ‘Elderflower’ is also a whole lot more than the prescriptive ‘post-rock’ tag attached to the duo. Much as I appreciate labelling as much as the next time-pressed music journo struggling to place a band and clutching for pointers for pitching a band in a review, and much as I like a lot of what slots into the post-rock bracket, Defy the Ocean are a band who create music that simply cannot be readily classified on their expansive and accomplished new release. For a start, it’s more rock than post rock. It’s pretty loud. It’s pretty heavy. There are a lot of vocals. None of these are bad things, and ‘Elderflower’ is a work of depth, range and power. From the get-go, they demonstrate a knack for shifting between segments and moods with real panche, dragging the listener along with them: ‘Rest’, the first track may only clock in at two minutes and fifty-five, but it’s got more twists and turns and ideas and emotional range than some bands’ entire albums. ‘Veils’ is restrained, darkly atmospheric, moody and is perhaps the most post-rock track of the set. But it’s got a bleak, metallic edge that also tips a nod to the mid 90s alternative rock sound. The title track breaks into full-on grunge mode, the quiet / loud dynamic and brooding atmosphere more Alice in Chains and Soundgarden than I Like Trains, and the crushing power chords are thick and heavy, and paired with a drawling vocal delivery, it calls to mind Melvins – the mellow piano breakdown notwithstanding. ‘Brine’ is serpentine, stripped back, and provides a distinct contrast with its chiming guitars which does call to mind I Like Trains – but then again, the burst of powerchords, distorted vocal and full driving climax, alludes to millennial progressive acts like Oceansize, Amplifier, Porcupine Tree, Anathema, and if anything, ‘Vessel’ amalgamates neoprog with the desert rock vibe of Queens of the Stone Age and their ilk. There’s a lot going on here, and it’s all well-assembled and musically articulate. Everything about ‘Elderflower’ points to a band who aren’t confined to any one format or bank of instruments, which makes for a refreshingly varied collection of songs, and one which demands repeated listening in order to reveal its full richness.